Durability and dead-on accuracy have made Troy Industries Folding BattleSights the choice of Special Ops and tactical users worldwide. 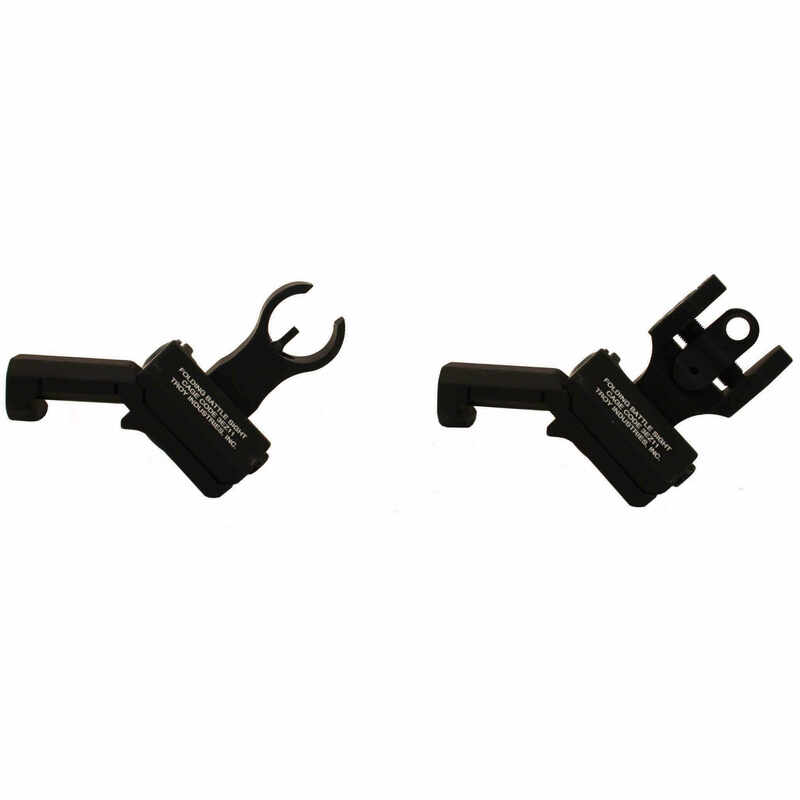 The TROY 45 Degree Folding BattleSights fold compactly to both sides of the rifle. With an ambidextrous sight base, TROY 45 Degree BattleSights work seamlessly with magnified optics. Easy to install and deploy, these sights position apertures at factory height. A stainless-steel cross-locking system ensures sight remains upright and zeroed under extreme combat conditions.